Hope your weekend is going well. I'm trying to get back into CAS mode and feel as though I'm failing miserably! 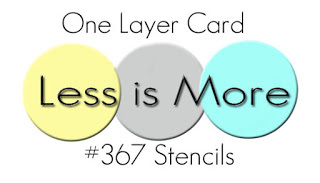 Of course it doesn't help that it's for Less is More's one layer challenge using stencils - I always find one layer cards difficult and I also struggle with stencils! I was lucky enough to win 2 of SarahG's stencils over at Funky Fossil so hopefully I'll improve when I get to use them! I masked the card off with some washi tape then blended some distress inks through a lattice stencil. The sentiment is from PTI and I've added a teeny, tiny stamped heart for the dot on the 'i' with some glossy accents to make it shine. 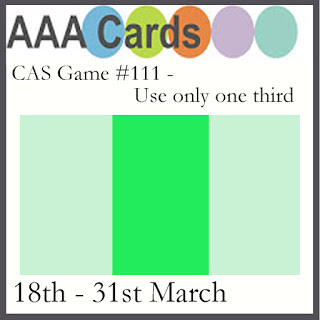 I stuck to the lower third of the card face so I'm also popping it over to AAA's challenge - to only use one third. Oh I LOVE your card!! You totally rocked both these challenges! For someone who struggles with stencils you've done a brilliant job here! I am happy doing one layer - until I come to stamp a sentiment - it usually ends up wonky - even with the Misti!!! 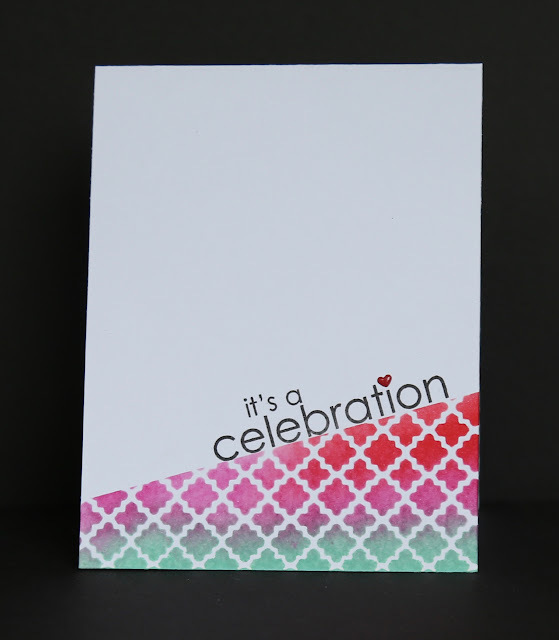 I'm not sure it is a Dreaded One Layer for you, Claire...your card is gorgeous and you perfectly answered the challenge with your CAS design and your beautiful stencilling ! I'm sure you will enjoy playing with Sarah's stencils, they are gorgeous ! Thanks so much for sharing and for playing along at Less is More. Love it! I didn’t even realise it was a stencil until I read your post, so crisp and clean. And your one third element is so cool, totally fabulous! 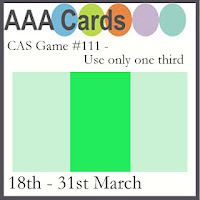 Thanks for playing along with the AAA Cards Challenge.